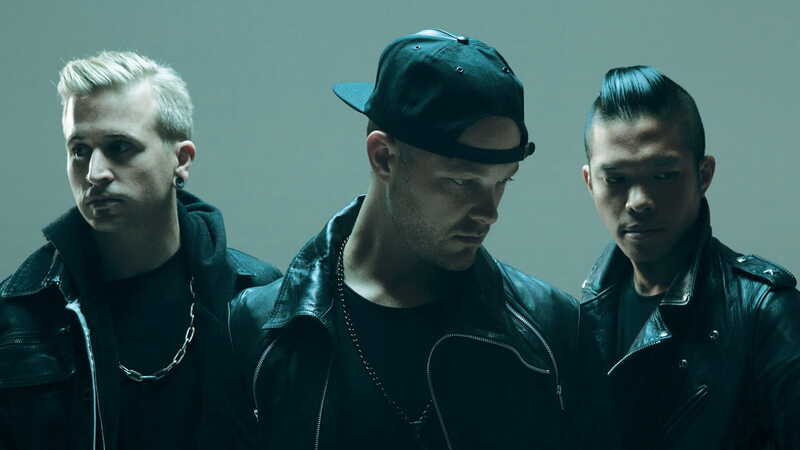 With the #1 Billboard Dance album Love Death Immortality (2014) under their belts, L.A. electronic music masters the Glitch Mob are calling their new album, set for release May 2018, “our most complete work yet, with a far-reaching and universal story to tell.” We had the opportunity to talk to G-Mobber edIT (Edward Ma) as the band was beginning to mix the album, and ask for some of the trio’s top music production and mixing secrets. When producers think of glitch music, they think of countless chops, edits and slices. You’re obviously the masters of chop and stutter. What advice would you give as far as slicing those pieces and then putting them all together? It's funny, people call them ‘glitches,’ but we just call them ‘edits.’ And we have a specific phase of the production process that's devoted to edits, mutes, fills, etc. In our early days we used to be pretty maximal with our edits. But these days it's all about doing what’s necessary to help convey the emotion and story of the song. If the edits take you out of the world of the song, then we've done too much and we have to dial it back. It's always important that the edits help tell a compelling story with the song: we don't just put edits in for ear candy. Together with [Glitch Mob members] Boreta and Ooah, you’ve been performing and producing music for over a decade now. How much did your set of production tools and effects change over the years? When we started over 10 years ago in the era of Logic 4 and Pro Tools 5.1 TDM, the standout effects for us were plugins like TrueVerb, MetaFlanger, Enigma and Renaissance Vox. At that time there were no plugins that were offering this kind of sound. It was unlike anything that we had heard. And you know, we’re still using some of those tools heavily today. In fact, the second most widely used Waves plugin on our new album is TrueVerb: we like to send all our high- and low-frequency percussion to a TrueVerb for some slight room effect, to give the percussion more depth. But the Waves plugin we probably use the most today is H-EQ: it’s on every single song in our upcoming album. We usually run all of our sub bass through H-EQ using only the saturation section. And then, lately it’s been all about Infected Mushroom Pusher, which is on literally all of our drum sounds. 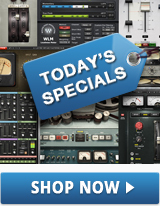 It’s one the most impressive plugins we’ve seen for a while. We know the Infected Mushroom people, so when this came out we just had to give it a try! There are so many uses for this plugin it's unreal. It’s great for beefing up and saturating individual drum sounds, or it can be used on synth leads and distorted bass patches for some extra bite. Let’s talk about the definition and clarity that each instrument gets in your final tracks. With so many layers and synths playing at once, what are some of your secrets for giving each part the right amount of focus? A lot of that is about the reverb. When you're working with aggressive upfront synth leads, sometimes all you want to do is just give the lead some tail but not have the lead be set further back in the mix. You need to choose the exact balance between the reverb tail and the early reflections. This is something we do with the H-Reverb – it’s one of the few reverb plugins that gives us that control. By setting the right balance we can give the lead synth depth and dimension but still leave enough room in the mix for the other instruments, and, most importantly, you keep that the lead sounds big without having it fall behind the drums in the mix. Like the lead synth in “Carry the Sun”? Exactly. You get the sensation of the depth just by the tail it leaves. Again, H-Reverb is one of the few reverbs that give us so much control over the shape of the tail. Most reverbs just offer decay, which is normally heard as a linear fade from the max volume of a reverb tail to nothing. But in H-Reverb you have the X-Time / X-Gain controls that let us give the reverb tail multiple shapes. We can simulate a tight gated reverb sound or go for a sound that has a short immediate downward slope, but then a tail that decays at a very low volume over a longer time. This is also great for stuff like drum sounds where you don't want a room effect but you still want a longer tail that can barely be heard. Speaking of your drum sounds, in a track like “Our Demons,” how do you get your drums so powerful, massive and cutting right through all those bass and synth layers? When it comes to drums so much of it is about the sounds you choose. Then after that it boils down to EQ and level balance. We normally tune all of kicks to the key of the song. This really just helps make the kick feel like it musically makes sense with the song. It's very subtle, but the tone of your kicks will just feel like they go along with your song. Sometimes we even tune the snares – I’ve found that the Torque plugin is amazing for tuning mid-range drum sounds like toms and snares that have a low mid-range bump. When it comes to making the drums cut, EQ and dynamics is so important. On the EQ side of things, we will lean heavily on both the Waves SSL E-Channel and G-Channel to help give our kicks and snares the correct tone. For dynamics, nowadays we generally lean towards the Smack Attack or Infected Mushroom Pusher. If we need a really aggressive kick that can cut through, we turn on Pusher’s Clip mode and turn up the Magic knob and the dynamic punch slider. Smack Attack is something we often use for the softer songs; if the song is more mellow or seductive, and we are looking to create a soft kick, Smack Attack can help take the edge off our drum sounds and reduce the transients of kicks. Let’s touch a little bit on your stereo spreading techniques. Your music always creates such a wide stereo image, and that helps the synth layers interact so well together. “Can’t Kill Us” is a great example. What’s your secret? Right, so much of our mix process is about controlling the stereo image. Doubler is always a great plugin to reach for when you need more stereo spread. We generally like to use it in parallel so that we can blend the drier mono’d synth lead signal in with the Doubler signal. Surprisingly we also used the spreader in the CLA Vocals plugin. The spreader is obviously meant for vocals, but it sounds awesome on everything. It even has a tiny bit of simulated analog hiss, which is cool – a hidden gem. We’ve also been using the Brauer Motion panner on some songs from our upcoming album. This plugin is more like a unique effect that we normally use to make a lead shine in a specific place. It's not something we put on every song, but when we need a very cerebral panning effect, we will generally try to the Brauer Motion first. Then, another tool that’s been huge for us in precision-controlling the stereo image is the F6 Dynamic EQ, because of the mid/side processing option it’s got. The F6 is a total game changer for us. We’ve always been big believers in using multiband compression to fix problems – but the F6 is like a precision scalpel whereas traditional multiband compressors now feel more like meat cleavers. The amount of precision that you can get with the F6 is unreal. If you have a distorted synth lead that has one note that is too harsh, you can really get in there and control that note, whereas a multiband comp might have too broad of a range and affect other frequencies that you don't want to touch. And then to top it off, the external side chain allows for razor sharp precision so that you trigger the F6 at the exact moment that you want it to work. As a glitch/electronic music producer you have infinite sound options and so many directions you can take the listener. So how do you personally decide when a production and then a mix are done – as in: finished, complete, DON’T TOUCH IT? Well, the song is never done – you just have deadlines. Deadlines can be a good thing, because if we were all left to our own devices we would probably tweak our songs until the end of time. One thing that helps us know when we're close to finishing a song is when we get to a point where the tweaking doesn't sound better. It just sounds different. Once you reach this point, it's time to start taking the song or the record to the finish line. So, at some point you just have to call it and say, ‘At this moment in time, given the knowledge and skills I’m armed with, this is the absolute best story I can tell.’ If you can say that, then you've left everything on the table and you can feel good about your art and your craft. For more electronic music production tips check out our interview with KSHMR or check out these plugins and instruments for electronic music production.